Riders experience skin irritations from lime mixture. Feld Entertainment, the promoter of the Monster Energy AMA Supercross Championship, has addressed the drying agent it utilised at the weekend’s rain-drenched fifth round in San Diego after ongoing backlash from riders and personnel. The drying agent, a mix of lime and sand, caused skin irritation to a number of riders while additional damage to their machines was also sustained in the encounter. The promoter has stated its reaching out to participants from the weekend’s Californian stop to ensure the welfare of riders, declaring its reviewing the current process behind dealing with excessive amounts of water. 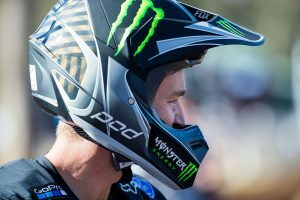 “The wellbeing of our riders, their teams and our crew is always a top priority for us at all supercross events,” the statement read. 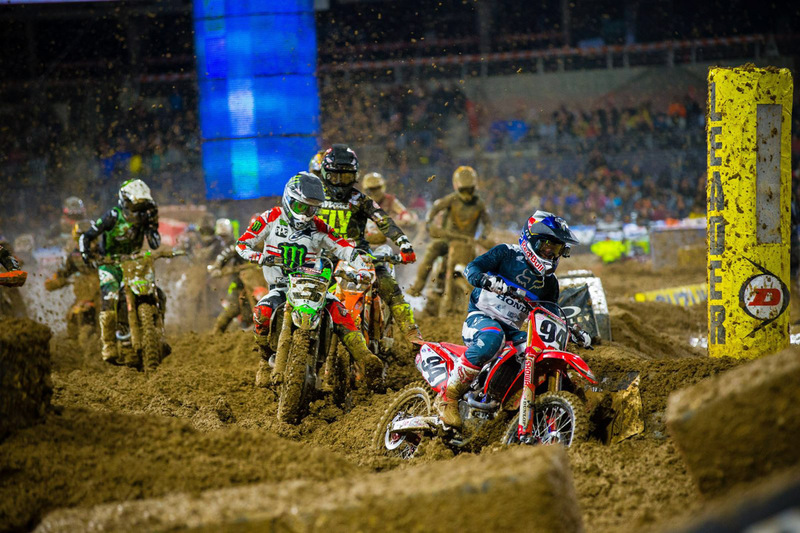 “Given last week’s forecast of rain for Saturday’s event in San Diego, the track crew took normal precautions to ensure a safe and raceable track. “Prior to the qualifying rounds and main events, they removed the protective tarp and applied a drying agent, a lime and sand mixture, to treat two areas on the track to try and remove moisture from the dirt. This process has been used safely for decades at supercross to dry dirt and thereby reduce the risk of accidents for the riders. “It appears that the unprecedented amount of rain on Saturday prevented the lime from mixing with the soil as usual. This resulted in splashing of the riders and their bikes, which may have caused skin irritation to some riders and damage to their bikes. 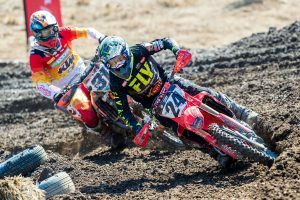 A selection of top tier riders have spoken about being unable to train during the week because of burns and skin irritation, including Team Honda HRC’s Ken Roczen. The AMA Supercross series returns to action this weekend at Minnesota for the first east coast stop of the tour.